A really lovely and large entry this month as usual! Such gorgeous hammies and such a great theme to work with. It will be hard to choose. Remember when you vote to take into account the theme of the competition - PEEKABOO . Remember the theme - PEEKABOO. The picture you vote for should really demonstrate the theme. The poll with close at midnight on 30TH APRIL at midnight GMT. Congratulations to SunnyOy and the lovely Myachick winner of this months competition. Thank you everyone for your entries. They were all lovely to see. Really lovely entries from everyone else too! Thank you very much for you support and love towards Myachick! Myachick and I really appreciate it! It is such an honour to win the contest for May. All the hammie cuties in the contest are fully adorable and their tiny little heads peeking out of holes are just beyond cuteness!! 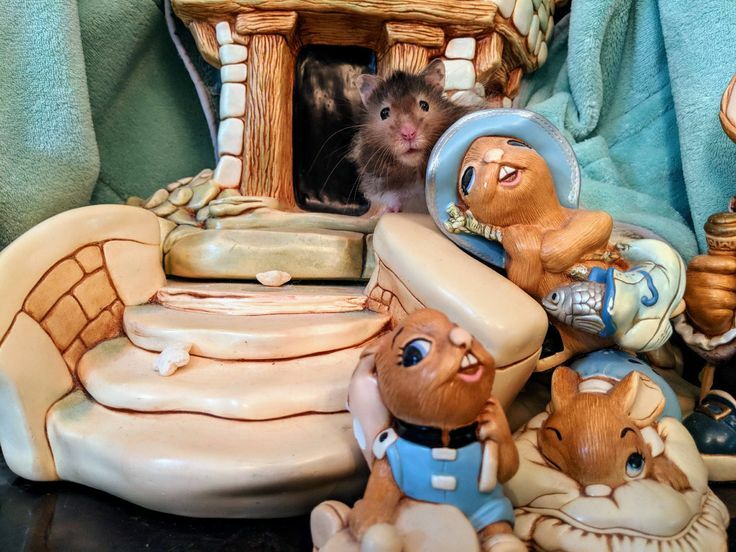 I feel so lucky to be the one, but I think every hammie deserves to be the winner! Thanks again folks, for you and your hammies!! Congrats on winning this month's HOM contest, SunnyOy and Myachick! I definitely loved your photo of Myachick peaking out of the robe pocket. It was extra adorable because the pattern of the robe brought out the lovely marking on Myachick. It was such a precious pic of such a handsome and charismatic, little darling. I love your entry. You both truly deserve to have a huge celebration, and I'm sure Myachick will be more than willing to eat plenty of extra treats and enjoy cuddles with you, too. Great entries from all the other hams and their ham-parents! I loved all of them, too. Congrats Myachick and SunnOy - I really loved this photo - Myachick looks adorable peering out of your pocket being camouflaged. It so sweet seeing this photo on the front page. Also wonderfully sweet entries submitted from everyone else too! Congratulations Sunny Oy and Myachick Lovely photo. There were so many really lovely photos this month!